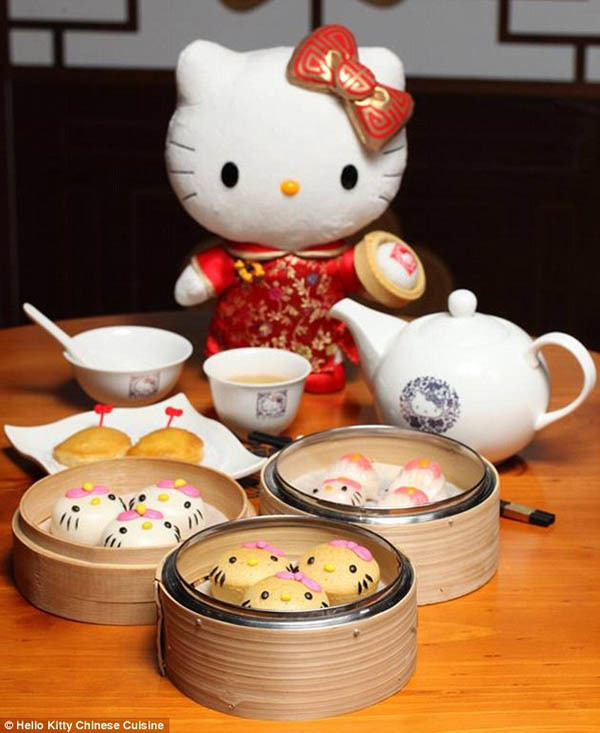 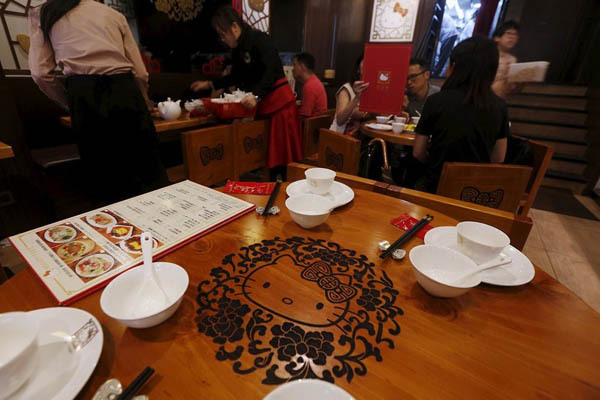 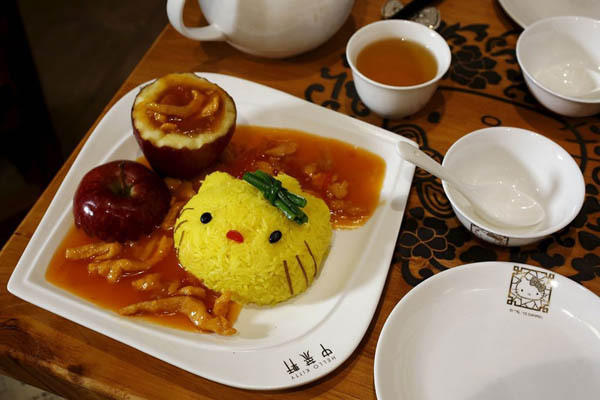 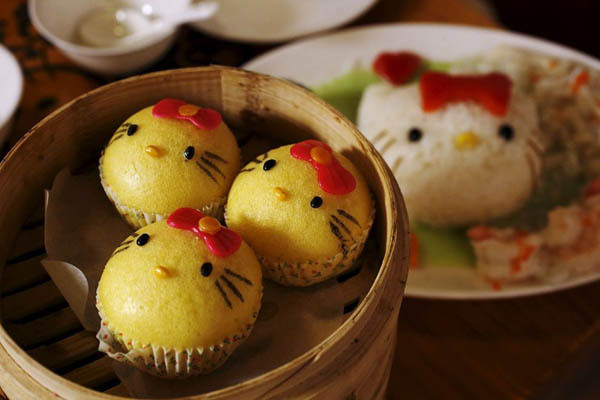 If you are a hello kitty fan and happen to live / visit Hong Kong, here is an existed new for you – the first ever Chinese restaurant entirely inspired by the celebrity cartoon cat will be open in Hong Kong, June 1, 2015. 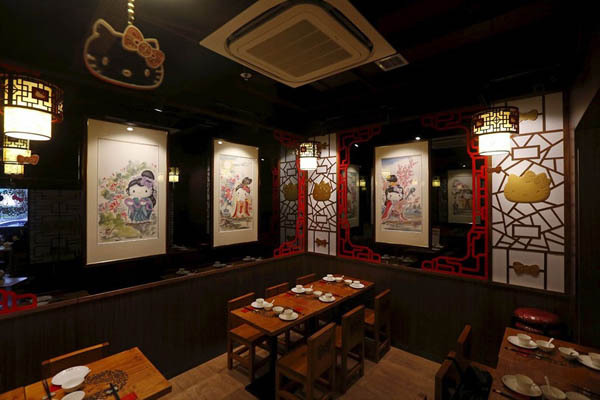 The feline-featured restaurant will feature an incredible 37 dishes, about half of which will be in the shape of the cartoon cat. 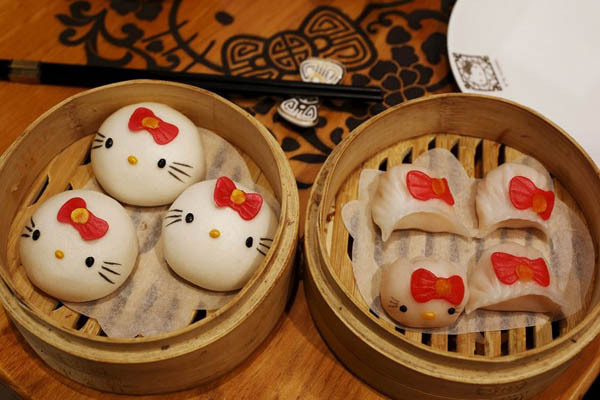 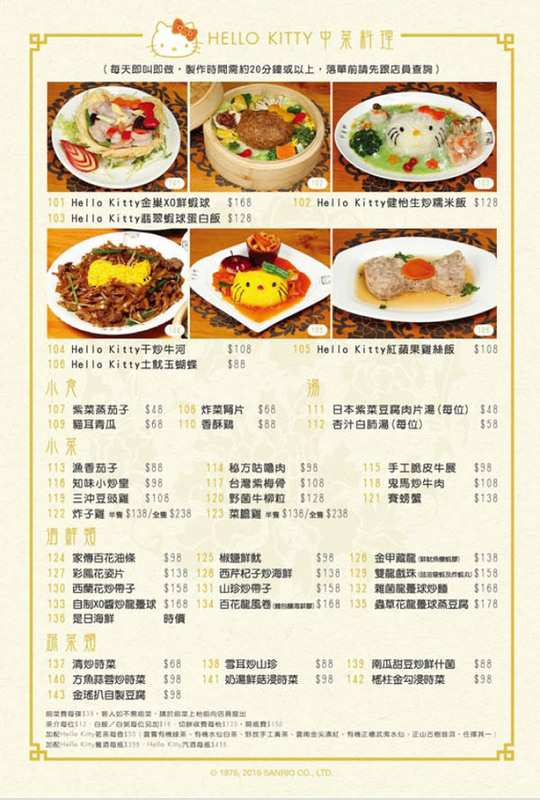 The menu – along with the cat’s famous bows and whiskers – will include prawn dumplings and steamed buns, along with sponge cakes and lotus paste buns. 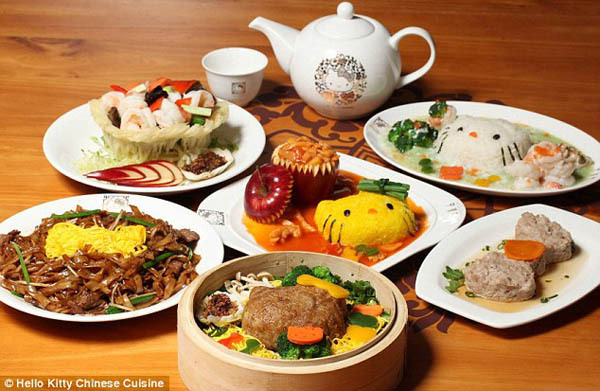 It is said, these specially made dim sum are extremely complicated to make, some even requires 17 different steps to prepare. 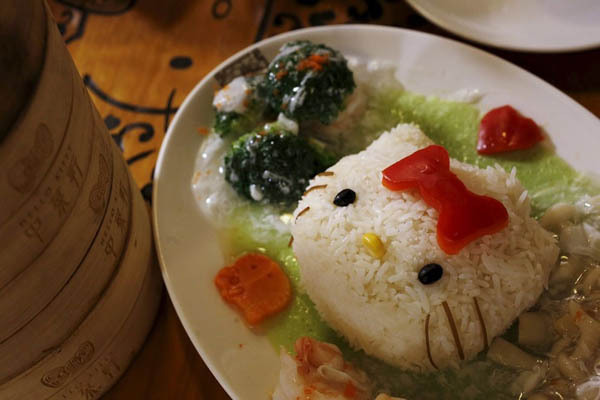 But despite the intricate preparation process, Hello Kitty fans will be pleased to know that lunch will only set them back between $9 and $18, while dinner will cost between $12 and $24. 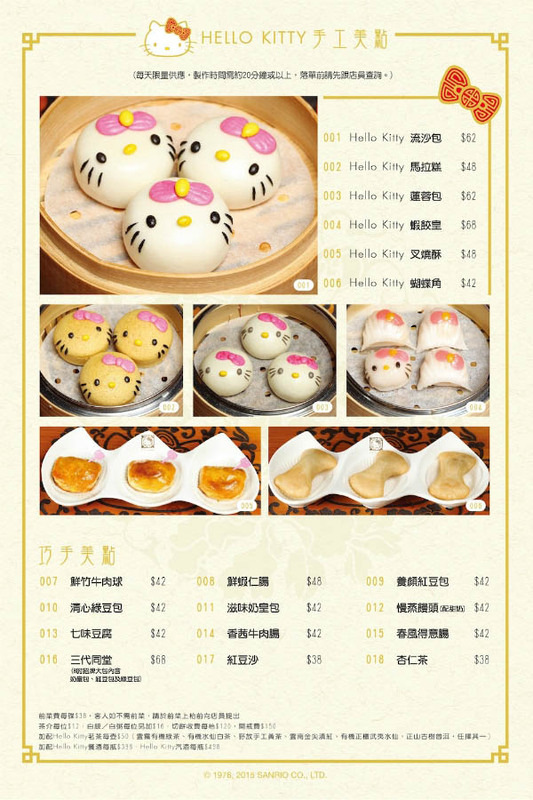 Besides the food, the whole restaurant is decorated with Hello Kitty theme. 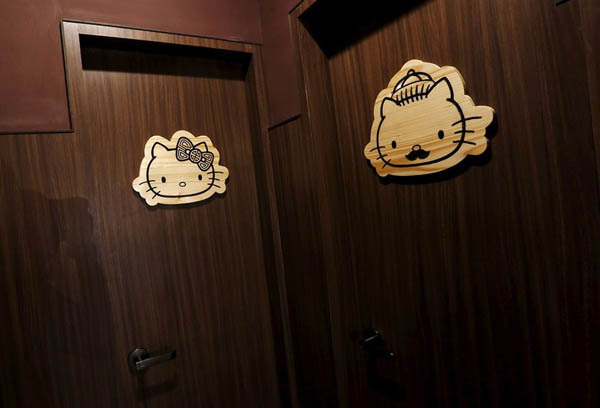 From the wall to table, from window to floor, from waitress’s uniform to washroom sign, the celebrity cat is everywhere. 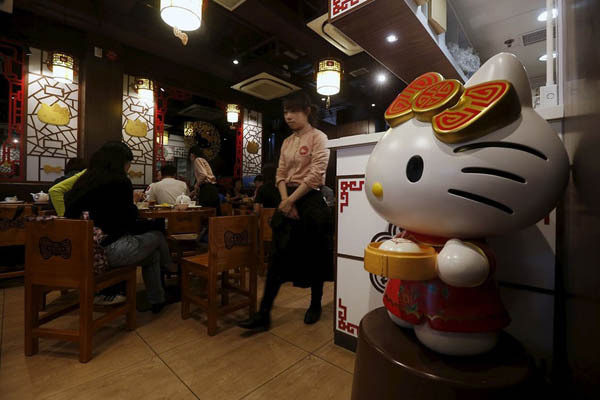 The June opening is expected to draw hundreds of the world’s biggest Hello Kitty fans to Hong Kong’s busy Canton Road, where it will be located.